John Heinis, the hardest working journalist in our area sat down for some Q&A with first ward council candidate Michael DeFusco. In this interview, HCV hits on a wide variety of candidate issues in Hoboken and the First Ward touching on a vision for revitilization and keeping the integrity of the economic status for residents in Marine View and Columbia Towers. DeFusco is seeking to replace Terry Castellano who is looking toward a quarter century in office with re-election. The entire interview comes courtesy of John Heinis at The Hudson County View. Talking Ed Note: MSV defined the term and usage Old Guard in Hoboken. So let's clarify it before it's misinterpreted entering an election cycle this November. The Old Guard in Hoboken is a political class believing itself entitled to the support and homage of Old Hoboken. The two are distinctive and not to be confused with each other (as on occasion occurs). The Hoboken political class, the Old Guard, feel they deserve the honor and respect of those beneath them in Old Hoboken and who bequeath whatever they in their mercy desire to Old Hoboken who in a pinch may seek them out. In their unwritten rulebook, it's part of a favor bank. Of course so too go all the spoils the Old Guard can get their hands on. The favor bank, which may mean a pathway to an apartment (and key fee) or a job for themselves or family, the requestor from Old Hoboken must show loyalty and always vote for the Old Guard "leader" and keep mum if something like federal law enforcement shows up on the scene. When this system grafts itself onto public institutions sufficiently, you have as one example, schools with bloated employee job rolls to the point where the Board of Education can't even produce a list of who is on the payroll, who have hundreds of taxpayer paid cell phones on the public dime and education of children doesn't make job number two let alone job one. The people hurt most in such a system are and have traditionally been those of Old Hoboken. The defense you hear repeated ad nauseum is "Everyone does it," followed with "it don't hurt anyone/Hoboken." In broader political thought, Old Guard simply refers to a long time political class or official who holds sway over many years. Currently, there are two Old Guard factions who wish to be viewed as leading Hoboken. Each has their own reasons why. Traditionally, Hoboken was controlled by one Old Guard group or another until it exhausted itself pigging out on the municipality and another group formed and was finally able to extert itself on the election system. Defeating an Old Guard ticket in an election is akin to taking away the Mob's rackets in gambling, racketeering, etc. It doesn't die easily. In 2009, a modern day school of professional politics self-described as the Reform Movement saw its champion in councilwoman Dawn Zimmer reach the pinnacle of mayor. She like some "newcomers" had a different minimal expectation of how government should serve ALL the people. In 2007, she slugged it out with Chris Campos in a legendary election going toe to toe with the Old Guard and taking a council seat with Reform champion in the fifth ward, Peter Cunningham. In November, this town will be in a battle for its future as six of nine council seats will determine the majority on the nine member Hoboken City Council. Reform and Old Hoboken have effectively worked together making Hoboken a different and better city for everyone. It's been a long, hard slog as the shadows of the Mile Square's "On the Waterfront" past linger. November 3rd for all the marbles folks. 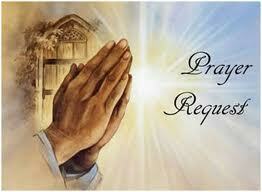 Please add some prayers for a friend, M, who is apprehensive about upcoming surgery. Back when St. Mary's was St. Mary's, a horse was admitted in a first ever emergency. (The Horse has only been scheduled for mileage repairs previous.) Anyway, the doctors couldn't find out why the horse's shade was turning from chestnut to a faint shade of yellow. They cleared some poor soul out of a room after a day or two as apparently, they thought this was the end. Well you put in your request for last rites and friends come by wondering why you are taking it so well as you look out the window wondering if this is the final chapter. Docs thought it could be cancer but it turned out to be some likely environmental issue of unknown origin. The prayers of others was the difference. The long and short of it; please pray for this friend's surgery and recovery. Intention is everything and the Lord will hear our prayers. Thank you kindly.